So cute, colorful, and classic! 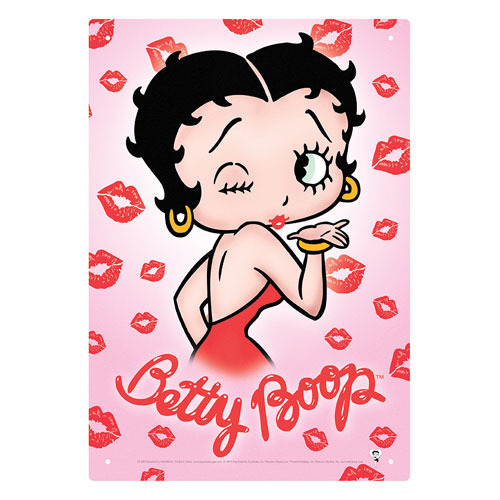 This Betty Boop Kiss Tin Sign measures approximately 8-inches x 11 1/2-inches. We love ya too Betty! Ages 13 and up.